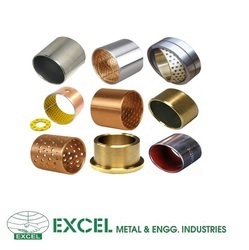 Gunmetal Rod offered by us are used in a variety of industries due to their metallic properties. 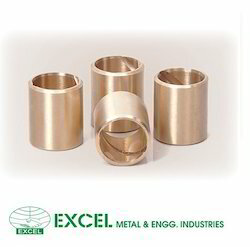 These rods are available in different sizes and diameters as per the industry requirements. Gunmetal is an alloy that is known for its robustness, heat resistance and anti corrosive property. Our supplied gunmetal rods are used in engineering works and other fabrication sectors. 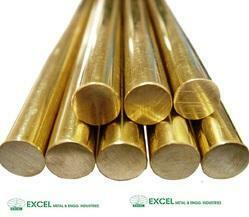 Phosphor Bronze Rods. 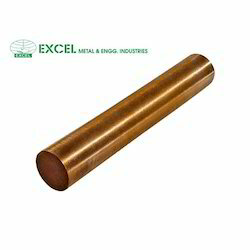 These phosphor bronze rods offer resistance towards fatigue and chemical corrosion, so they are used for varied application in various industries such as in heavy engineering, machinery, defense, aviation, electrical and more.We are the manufacturers, exporters, dealers, traders, wholesalers, Stockiest, Shipchandlers of Phosphor Bronze Rods & Casting . Sintered Porous Metal Bearings are Powder metallurgical parts, the starting materials are obviously metal powder. 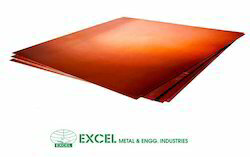 The metal powder used are specifically produced to give flow and compacting characteristics and at the same time ensure best mechanical strength, grade or porosity for oil retention and self lubrication in its finished form. 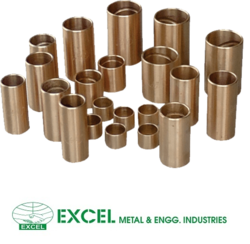 Plain & flanged bushes, self aligned bushes, solid rod, plate, sintered bushes, oilite bushes, self lubricated bushes, sintered bearings and different profile components as per drawings / samples. Used for high load and moderate speed application. BUSHES & PLATES CAN BE DEVELOPED WITH ANY SPECIFICATIONS AS PER CUSTOMERS REQUIREMENTS. Where it is inaccessible or difficult to lubricate bearings. Where hours for design, assembly and maintenance need to be saved. Where it is difficult to lubricate bearings due to high / low temperature. Where minimum space is required for bearings. Where corrosion resistance or waterproofing is required. Where there is dust in the operating environment. Where oil contamination is not desired. Where high load and low speed operation that does not accept lubrication is required. Where oscillation, reciprocating or frequent start and stop operations that makes lubrication insignificant are required. Where deterioration of lubrication oil occurs due to non-maintenance for a long time.